PORT JEFFERSON STATION, Long Island (WABC) -- A Long Island man is charged with driving while intoxicated and leaving the scene of an accident after a man was killed in a crash in Port Jefferson Station Sunday night. Police say 31-year-old Bob Hidalgo was driving a 2011 Toyota Corolla southbound on Route 112 near Sagamore Hills Drive when his vehicle was struck by a 1995 Nissan Maxima traveling southbound on Route 112 at 5:10 p.m. 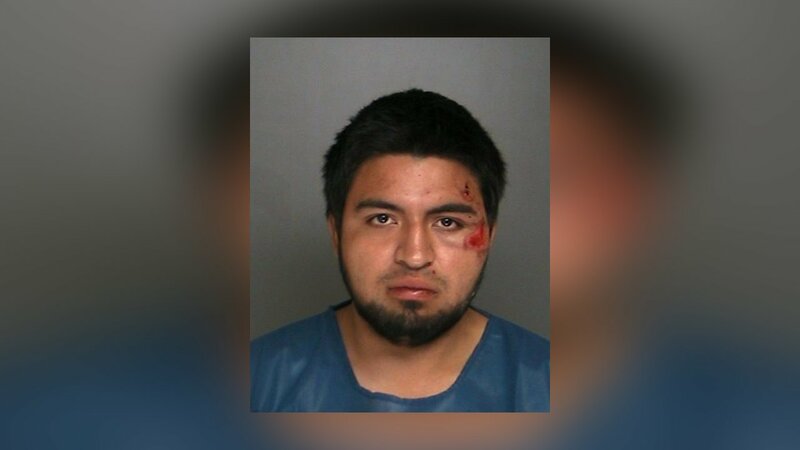 Authorities say the driver of the Maxima, 19-year-old Danny Bonilla Zavala, fled on foot and was apprehended a short time later. Hidalgo, of Coram, was pronounced dead at the scene. His wife, Taisha Hidalgo, 30, was transported to Stony Brook University Hospital for non-life-threatening injuries. Zavala, of Selden, was hospitalized with minor injuries. The vehicles were impounded for safety checks, and the investigation is continuing. Anyone with information on the crash is asked to contact Major Case Unit detectives at 852-6555.